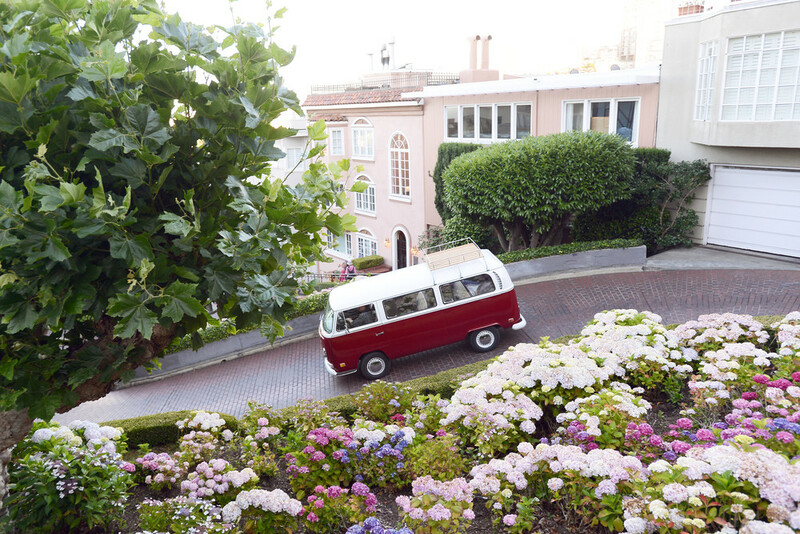 Of all the cardinal sins of San Francisco, seeing the picturesque city from the confines of a big, out-of-place tour bus ranks among the worst. 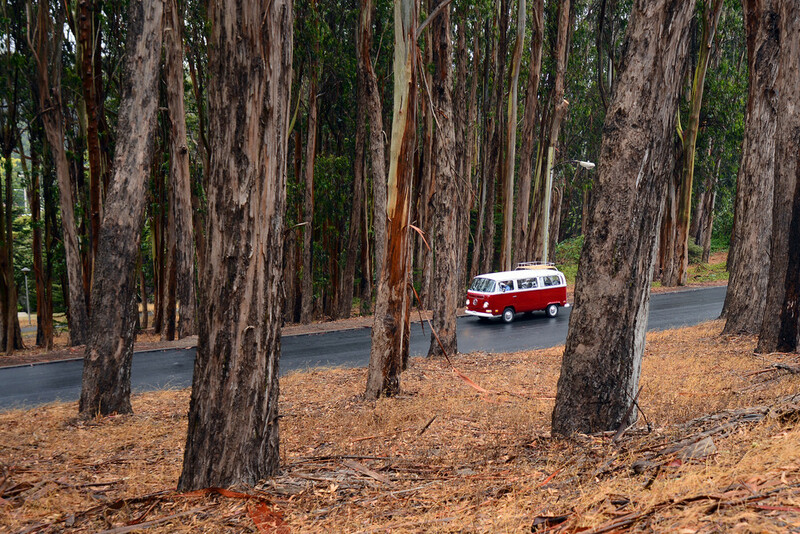 Enter Vantigo: the husband-and-wife-team bringing visitors and locals on Bay Area tours in the beloved Lillie, a 1971 chianti-red Volkswagen bus that anyone drawn to the quirky city is sure to appreciate. 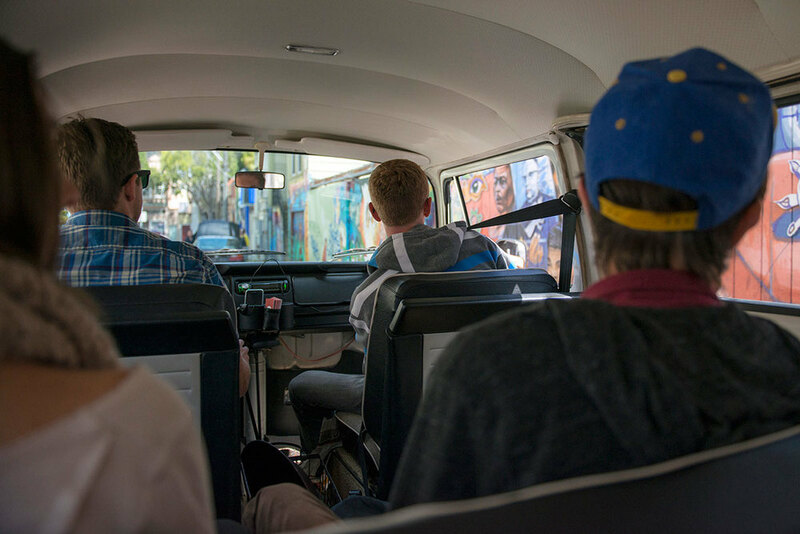 Since August, owner Erik Hormann, 30, has been running Vantigo’s day and night tours of San Francisco, brewery tours along Highway 1 and the North Bay and day trips to Tomales Bay’s Hog Island Oyster Company. 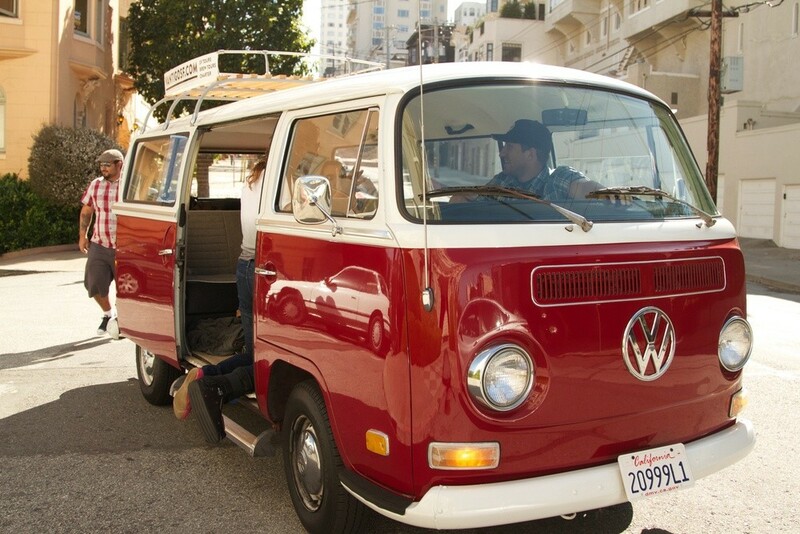 Behind the scenes of Vantigo is his wife Amy, who Hormann said has been listening to his entrepreneurial ideas for years before he pitched this VW-revamp of Bay Area tourism. Hormann’s tours are filled with restaurant recommendations and offbeat history lessons, a different soundtrack for each neighborhood, fortune cookie snacks in Chinatown, and tangible pieces of San Francisco history, like postcards and tickets from the 1915 World’s Fair. “If I can pass something around or have you eat something or talk about it a little bit, it just engages people so much more,” Hormann told The Huffington Post. Lillie also has a permit for riders to drink on board and a cooler in the back stocked with some local brews. Named for Lillie Hitchcock Coit -- San Francisco’s famed smoking, gambling, pants-wearing volunteer firefighting female from the turn of the century -- Lillie is certainly a conversation starter. Hormann said the tours are great for gifts or for visitors looking for an experience their local friends would enjoy, too. With so many outsiders snapping away photos, it’s a chance for riders to become a San Francisco tourist attraction themselves. The day I first moved to San Francisco, I dropped my suitcases at my friend's Marina apartment and wandered down Chestnut Street to Monaghan's, where I ordered Anchor Steam on draft. And It tasted different. A little colder, a little fresher. It's worth making a reservation to explore the source (for free) on a weekday afternoon. The chipper tour guide who moonlights as a DJ, the churning assembly line and snippets of city history would be worth it alone -- but the tastings at the end bring it all home. More info <a href="http://www.anchorbrewing.com/brewery/tours" target="_blank">here</a>.